For me i just like to have a node.js icon as my project icon ;). 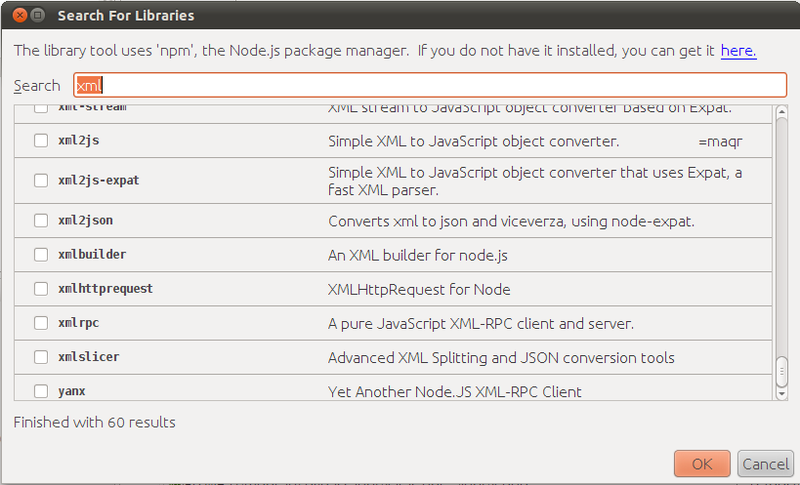 No serious, i like the npm support, see image, especially for browsing the modules to see what is all available. 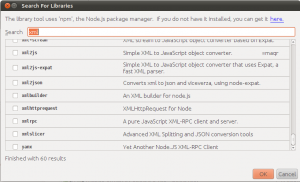 Whats also is nice and that you have the modules in the file tree and that they show the module info. A GUI for installing the modules and editing the package file i dont really need but its nice to have. Then starting the app from a button in netbeans is also nice. I guess whats missing the most is code completion, maybe that will be added sometime soon. I hope so, because having code completion for node modules would be pretty cool. Feel free to email if you have any questions. Code completion turned out to be more painful than I’d thought to implement, so it got pushed to my “back burner” by work I was getting paid for – but I do hope to get to it eventually, and any help would of course be appreciated.